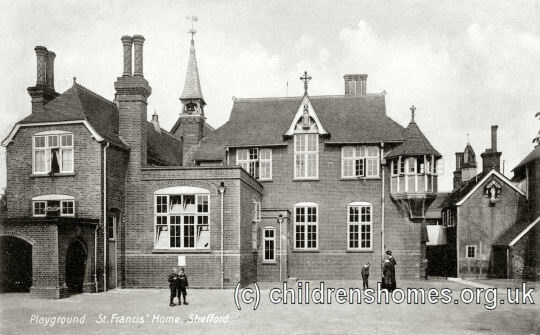 The St Francis' Home for Roman Catholic Boys was founded at Shefford in 1869 by Father William Collis at the instigation of Bishop Amherst of Northampton. Collis had previously managed a similar establishment at Walthamstow in Essex. 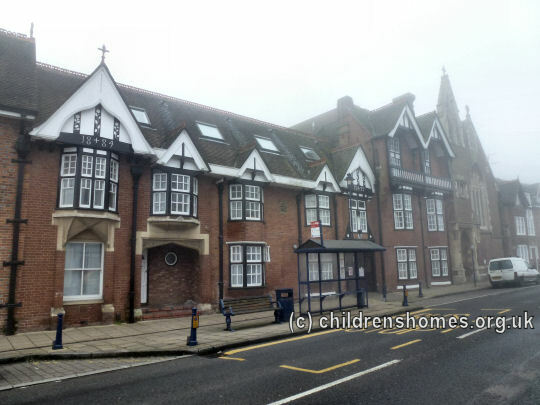 On February 7th, 1870, the establishment was certified to operate as an Industrial School on the High Street in Shefford, in premises belonging to the Saint George's Roman Catholic Mission. 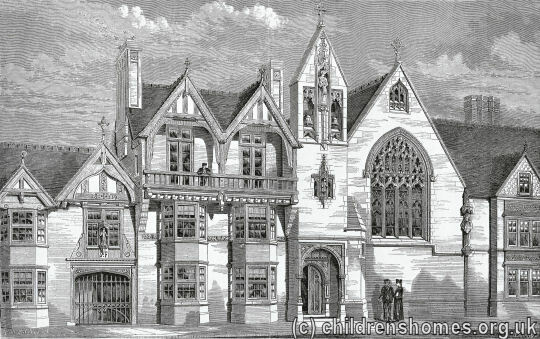 A few weeks later, on March 17th, the establishment was also accredited as a Certified School, allowing it to receive boys boarded out by the workhouse authorities. 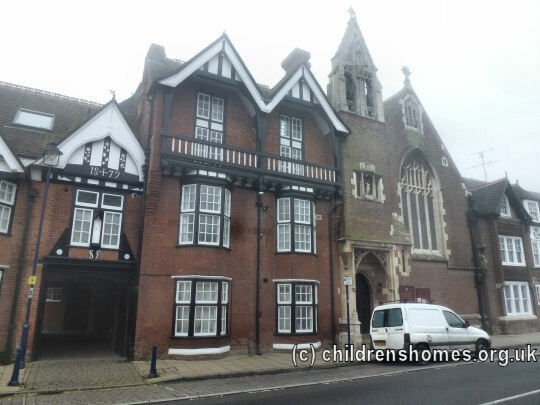 St Francis' could accommodate around 50 boys aged from 10 to 14 who mainly came from the Northampton Diocese. These included boys sentenced to detention by magistrates and also voluntary cases. The first two inmates, boys named Bell, took up residence on April 11th, 1870. As well as classroom lessons, boys at the Home received Industrial Training in a number of trades. In 1879, these included carpentry, shoe-making and tailoring, with a small amount of work carried out in the Home's garden. In the same year, staff at the Home comprised the Director, the Rev. Canon Collis; chaplain, the Rev. E McShane; Superintendent, Mr Wilson; matron, assistant matron, carpenter and shoemaker. New buildings were erected at the site in 1879-84. The architect was SJ Nicholl of Kentish Town who also designed the adjacent church of St Francis. His design is shown below. The first phase of the development, alongside the church, included offices, an infirmary, and an entrance archway. All the carpentry and joinery work for thew buildings was carried out by the boys at the Home. After completion of the construction work, the Home could accommodate about 80 boys. 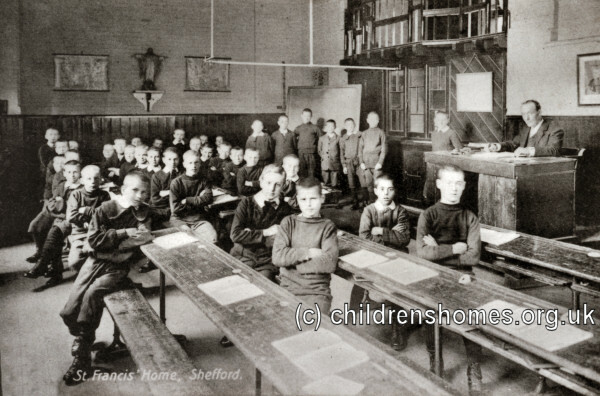 St Francis' ceased operating as an Industrial School on 31st December 1889 but continued to operate as a home for Roman Catholic 'orphan boys of the middle classes', with payment required according to circumstances. The establishment was also certified as a residential Poor Law School for the reception of pauper children placed by Boards of Guardians. In line with these developments, the Industrial Training activity declined and by 1890 consisted of assisting with the general work of the house. In 1908, the Home was damaged by fire. This was not the disaster it could have been as substantial repairs and improvements to the property were already being considered in order for the Home to retain its Poor Law School status. The same year also saw the formation of the 61st Bedfordshire Saint Francis' Home Troop. In 1943, reflecting the wartime growth in unplanned pregnancies, the Home began to receive babies. 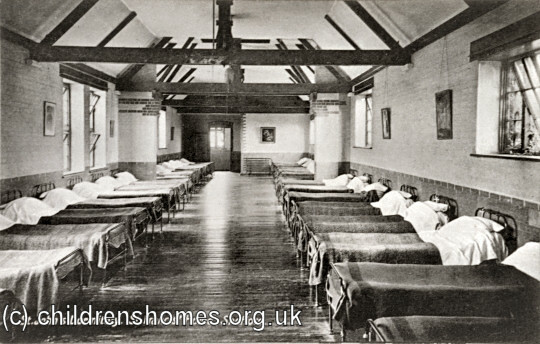 They were housed in former Seminary rooms and cared for by a contingent of Sisters of Bon Secours from Beaconsfield in Buckinghamshire. In 1945, the babies were transferred to larger premises of their own at Sheringham in Norfolk. The Home was finally closed on July 17th, 1974. Bedfordshire and Luton Archives and Records Service, Borough Hall, Cauldwell Street, Bedford. MK42 9AP. Extensive holdings include Admissions registers (1869-1893); Boys' Record and Admission Books (1875-1910).